NEW YORK, March 19, 2015 /PRNewswire/ -- Hip-hop pioneer, Tony Award-winning producer and multi-hyphenate entrepreneur Russell Simmons has announced the development of The Scenario, a new stage musical that will be driven by the music that defined a generation: the greatest hits from a two-decade span of hip-hop – from the "golden age" of the mid-80s to mid-90s "when it seemed that every new single reinvented the genre" (Rolling Stone), to the chart-topping artists at the turn of the millennium. Simmons, who is widely credited with ushering in a hip-hop cultural revolution with the launch of Def Jam Recordings in 1984, and creating the trailblazing Def Comedy franchise in 1989, will produce through his Los Angeles-based production company Def Pictures, alongside Tony Award-winning Broadway producer Big Block/Scott Prisand (Rock of Ages, Heathers, Gentleman's Guide To Love And Murder). The Scenariowill feature an original story written by acclaimed author and hip-hop historian Dan Charnas (The Big Payback), and aims to premiere in New York City in late 2016. "Hip hop's explosion was fueled by a generation with an incredible hunger to discover new ways of expression," said Simmons. "These artists were always breaking the mold with new rhythms and new ideas, while at the same time telling so many important and timeless stories that over the decades have continued to remain just as relevant. This is why the music continues to strike a chord with fans worldwide. It felt like such a natural fit to weave the best of these sounds and stories into an energetic and thrilling musical that would transport audiences through one of the most innovative artistic movements of our time." "Part of what made the Rock of Ages experience so incredible for theatregoers was the joy of hearing the most beloved songs of an era serve as the storyteller," said Scott Prisand. "Russell is the catalyst of all this extraordinary music that has already touched generations to the core around the world; we're taking those beats everyone knows and loves, and setting them into a fun original story." Added Jake Stein, who is shepherding the project on behalf of Def Pictures and will also produce with Simmons, "These classic songs, stories and rhythms will find a new audience on the theater stage. We believe this show will be an entirely new entry point for appreciating hip hop as a transformative art that has shaped culture, fashion, music and entertainment of all forms, and we hope it will help open the door for other live theatrical experiences." 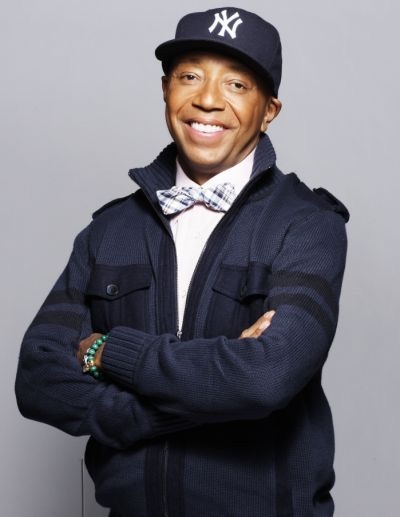 Entrepreneur, author, activist and philanthropist Russell Simmons has launched scores of groundbreaking careers and innovative enterprises in arenas as varied as music, film, television, fashion, comedy, poetry, digital platforms, theater and finance. His lifelong mission has been giving a voice to extraordinary talent and empowering underserved communities as they in turn shape the mainstream of culture. After having produced or managed artists such as Kurtis Blow, Run DMC, Houdini and Jimmy Spicer, Simmons joined forces with producer Rick Rubin to found Def Jam Recordings. Under Simmons' leadership as Chairman, Def Jam signed acts including the Beastie Boys, Public Enemy, LL Cool J, Jay Z and Kanye West. Simmons' long-running HBO series "Def Comedy Jam" helped make household names of comics including Jamie Foxx, Chris Tucker, Martin Lawrence, Bernie Mac, Dave Chappelle, Kevin Hart and JB Smoove. "Def Poetry Jam," also on HBO, won a Peabody Award and a Broadway version netted Simmons a Tony® Award. Simmons' numerous big-screen hits include The Nutty Professor, which grossed more than $273 million. Simmons has written three New York Times best-selling books, including Success Through Stillness: Meditation Made Simple, which was published by Morrow in 2014. He has also launched a multitude of diverse business ventures including pop-culture website Global Grind, UniRush Financial Services, Simmons Jewelry, shoemaker Run Athletics and clothing subsidiaries Phat Farm, Argyleculture and American Classics. Most recently, he unveiled All Def Digital, a premium, multi-platform digital media company and entertainment hub, curating, developing and connecting a new generation of content creators to global fans. He also co-founded the digital marketing firm Narrative. Dan Charnas is an acclaimed author, journalist, professor, producer and former record company executive, and is considered to be one of hip-hop's foremost historians. As part of a generation of young writers who created hip-hop journalism, Dan penned some of the first cover stories for The Source magazine, and is author of The Big Payback: The History of the Business of Hip-Hop (New American Library/Penguin) and the co-author of Def Jam: The First 25 Years of the Last Great Record Label (Rizzoli). Deemed "Pulitzer-worthy" by Spin and "Epic" by The Village Voice, The Big Payback received four stars from Rolling Stone, and accolades from publications including the New York Times, Los Angeles Times, Entertainment Weekly and The Atlantic. Dan began his music business career in the mailroom of the seminal rap label Profile Records, eventually becoming Rap A&R and Promotion Manager — working with such artists as Run-DMC, Dana Dane, Special Ed, Rob Base, Special Ed and DJ Quik. As VP of A&R and Marketing for the Rick Rubin/Warner Bros joint venture American Recordings, Dan oversaw projects including Sir Mix-A-Lot's double-platinum single "Baby Got Back" (the #2 Billboard Pop Single of 1992), DJ Kool's gold anthem "Let Me Clear My Throat," and Chino XL's acclaimed "Here To Save You All," which influenced emcees from Eminem to 50 Cent. He is currently Associate Arts Professor at the Clive Davis Institute of Recorded Music, Tisch School of the Arts at New York University; and an executive producer of the upcoming VH1 movie, "The Breaks". THE SCENARIO is produced by Russell Simmons; Def Pictures/Jake Stein; Big Block/Scott Prisand, Scott Benson, Tom Pellegrini and Jamie Bendell; Brian Sherand Stella Bulichnikov.